Yep, another bag! (And I'm working on a third one right now too, so I hope you like totes.) 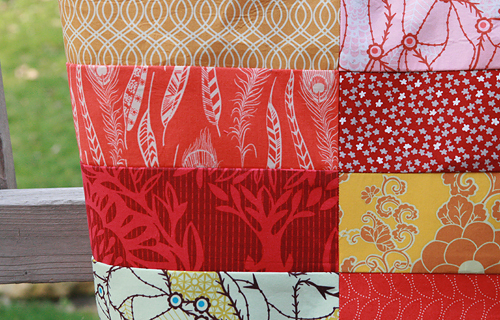 Last month at the Sewing Summit I was super lucky to have the chance to take Alexia Abegg of Green Bee Design's class. Alexia is not only talented but also a very, very nice person and I was thrilled to be able to spend a couple hours with her, working on her Ship Shape Tote pattern. 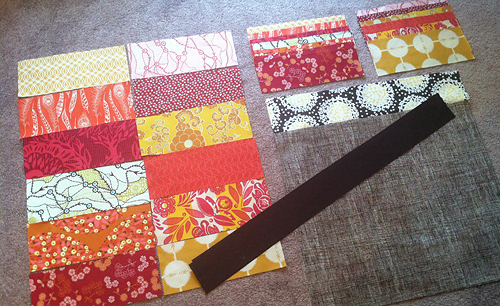 We all cut our fabrics at home and I decided to use 12 different prints, rather than 2 like in the example. 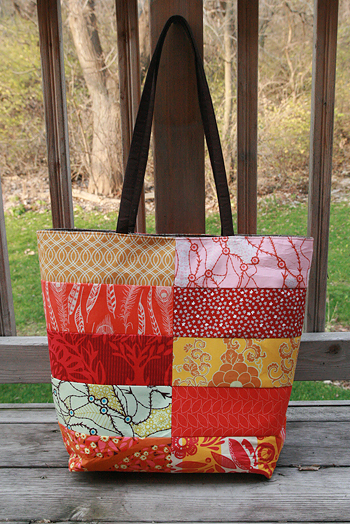 Each side of my tote has the same set of fabrics, but in a different order. 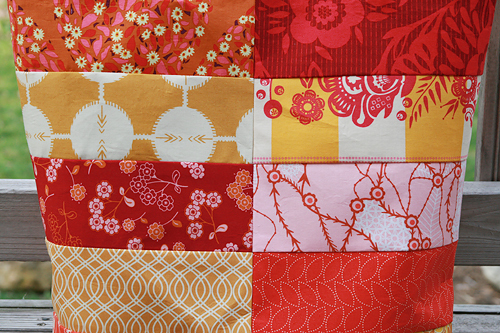 The fabric is a mix of Anna Maria Horner's fabrics (Field Study, Good Folks, Innocent Crush), Denyse Schmidt's Chicopee, Bari J's Splendor 1920, Art Gallery Fabrics Indie and Cloud9's Nature Walk. For the lining I chose Alexander Henry's Heath in chocolate and added a bit of Cloud9's Cut Out and Keep because I didn't have enough of the crosshatch. The straps are a solid chocolate brown. 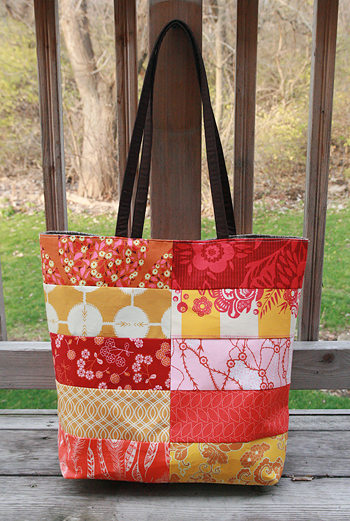 The shape of the tote is great too. The slight angled look is really cool and the flat bottom really lets you put a lot in the bag. I really pushed it to it's limits when I loaded it up as my carry on on the way home from Salt Lake City. 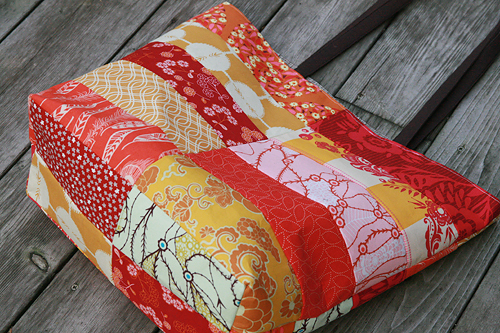 I'm already thinking this will be a great pool bag for the summer. I think it will fit all our beach towels, sunscreen, pool toys and snacks and it won't tip over and let everything spill out.